The July 4th Holiday took a bite out of our bookings this past week. I had guests in all of my cabins, but many of the big cabins hosted very small groups. The net result is that our guiding effort was down about 40% from normal. 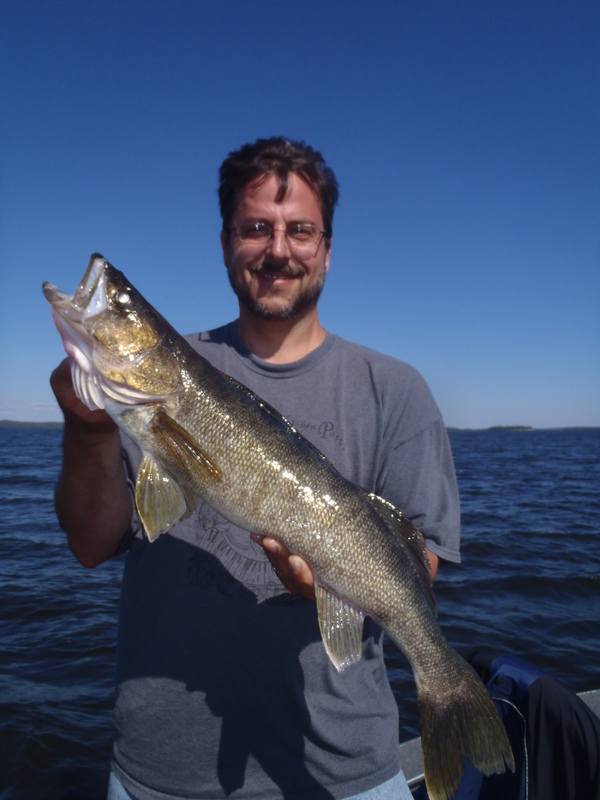 The walleyes continued to invade the shallows as we experienced a prolonged and stable stretch of sunny and warm weather. 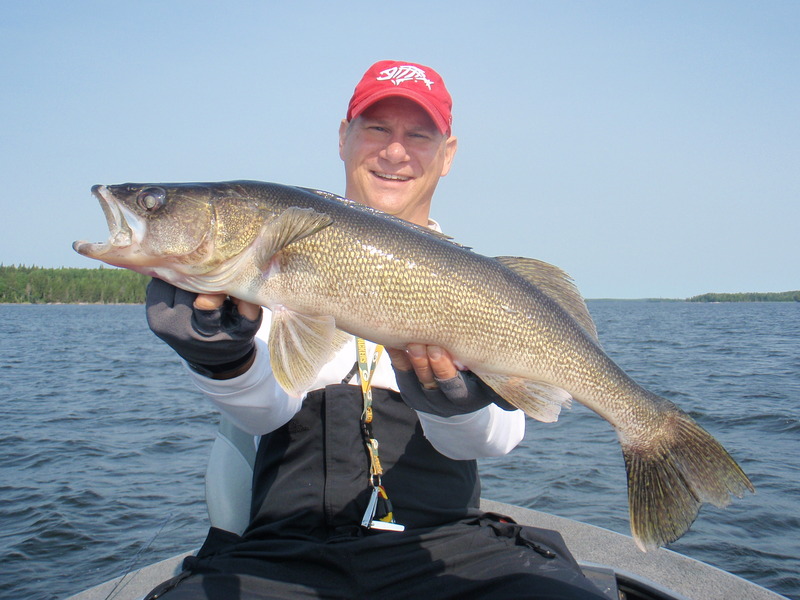 Volume increased dramatically with guide sheets averaging 40 walleyes over 18 in. per boat each day. The highest daily total reported was 100. 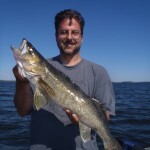 Overall numbers for big fish were also good considering that there weren’t that many boats on the water. For the week, we had 30 over 27 in., including 6 – 28s. 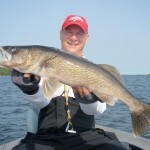 Walleye production was split between live minnows on light jigs and big plastics trolled with speed. 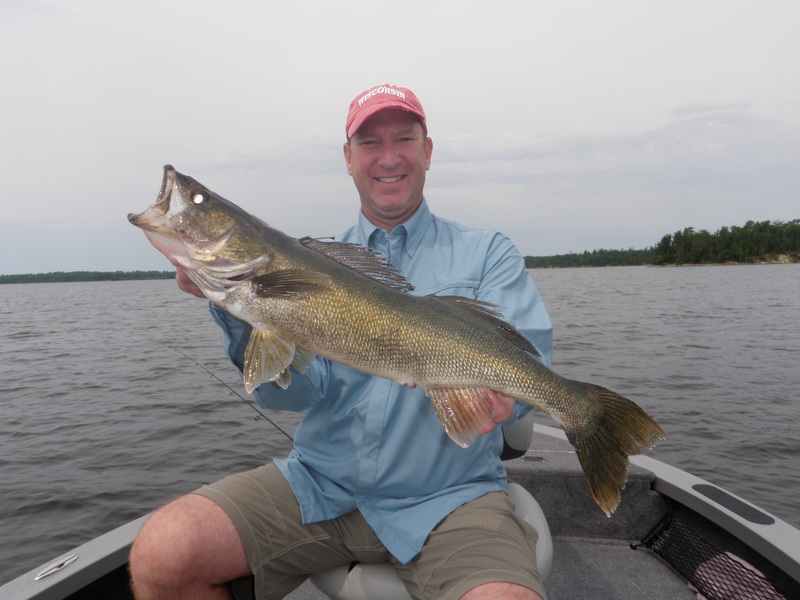 When the fish were aggressive, the guides moved fast. When the bite slowed, so did we. We did spend time working the new weed beds for big pike this week. The volume was good, but we weren’t as successful boating the big ones. For the week, we had 7 over 37 including 2 – 38s and 1 – 40. 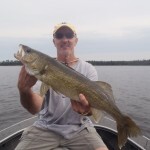 The bass fishing season is effectively over for us until next year. If the lodge had been full, it would have been another great week for production and stats. As it was, we had a great 4th of July celebration with a bonfire, hot dogs, smores, and a fireworks show. 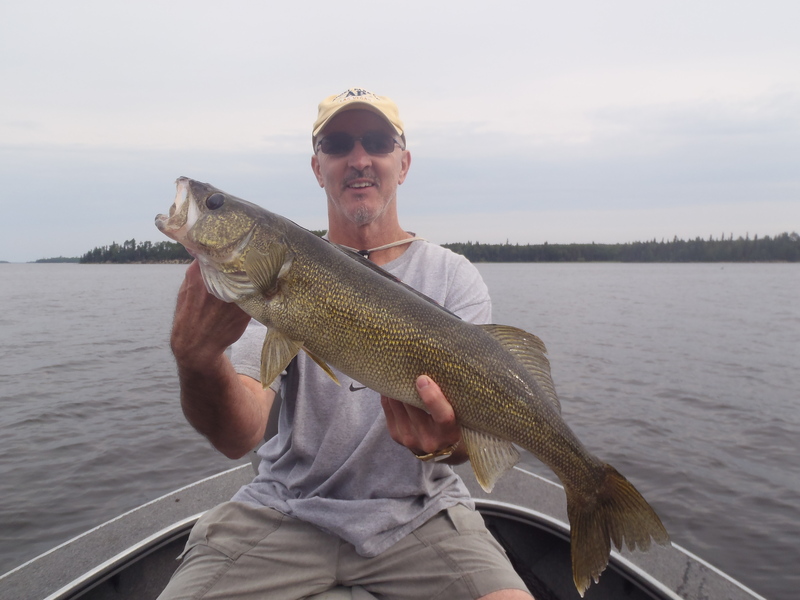 Both weather and fishing have become much more stable and predictable and the long term forecast calls for more of the same.